Logins this hour: 695 ? The Highlighter tool for resident scheduling has multiple functions. Keep a running count as you build year-long block and clinic schedules. 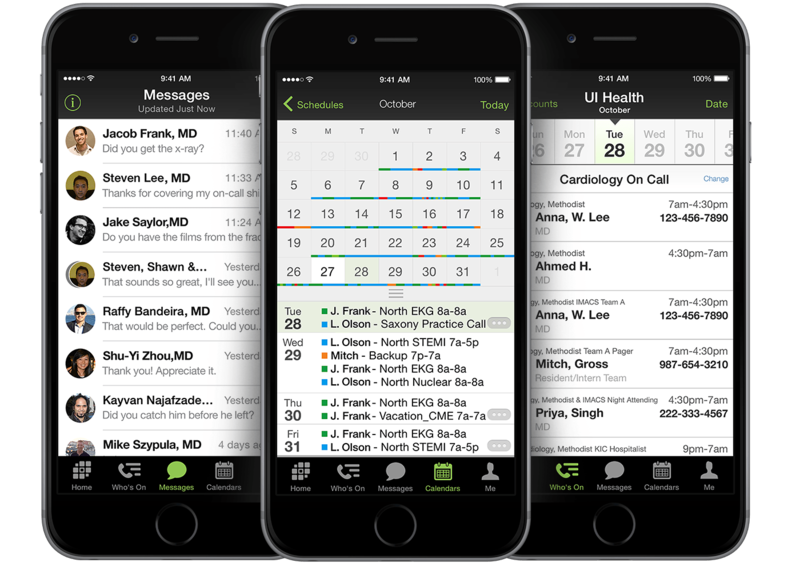 Highlight the placement of residents, rotations, and clinics. Or find holes in your call or shift schedule. 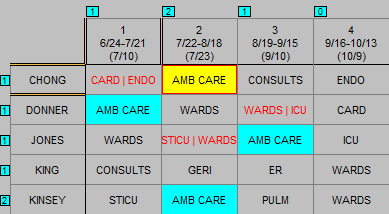 In block and clinic schedules, display staffing tallies by block and resident for the year. Turn on the highlighter tool by selecting the aqua blue square icon, in the icon toolbar. Next, select a rotation or clinic you would like to tally. The number of identical assignments in each block or day will appear above every column, while the number of identical assignments for each resident will appear to the left of every row. Go to File / Preferences / Highlighter and select, Any cell that has a person on the selected half of the split to also include partial rotation assignments in the highlight. The highlighter tool provides several more highlight options. Learn more about highlighter options. Here we discuss highlight. This page describes tally.